Our annual Huskies for Humanity signature event highlights the current and former work of UW faculty, students, staff, and alumni that are living out UW's Be Boundless call to action to "be a world of good." At the 2015 Huskies for Humanity event, join us for an exploration of the many ways UW is connected to the Duwamish River. The evening will start with a poster session of former and current projects associated with the Duwamish River and surrounding community. At 6:30 p.m. there will be several short presentations on current projects by UW faculty, staff, students, and community partners. Following the presentations, attendees will have another chance to view the posters from 7:30 - 8 p.m., as well as interact with UW and community presenters. One of the most active UW/community partnerships is between the UW Department of Environmental & Occupational Health Sciences (DEOHS) and the Duwamish River Cleanup Coalition Technical Advisory Group (DRCC/TAG). Partnerships with DEOHS programs such as the Center for Ecogenetics & Environmental Health and the Superfund Research Program are perhaps among the most enduring, dating to 2000. Specific projects include an NIEHS Town Hall Meeting, advisory boards, EPA Community Involvers Group, hosting lab tours in DEOHS for Duwamish Valley youth groups, participating in the Duwamish River Festival, and joining the community to clean up brush at Terminal 107. This partnership has helped UW faculty and students learn about environmental health issues in a community and practice community involvement first-hand. Bill Daniell is a physician and epidemiologist in the Department of Environmental and Occupational Health Sciences (DEOHS). Daniell's interests include a mix of teaching, research, and public health practice. Grounded in academic occupational and environmental health, Daniell is proud to have evolved into a public health generalist and proponent of public health’s ability to promote evidence-based action toward community health and equity. His current activity is mostly based in Washington state. Daniell headed a team that completed a health impact assessment (HIA) of the proposed cleanup plan for the Duwamish Superfund site. He is working to develop "Health and Equity in All Policies" activities focused on regional social and health issues, in collaboration with the UW Northwest Center for Public Health Practice, Public Health - Seattle & King County, the Northwest HIA Network, and other Northwest public health practitioners. 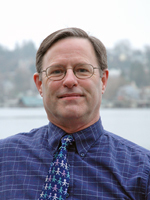 James is the current Coordinator of Duwamish River Cleanup Coalition/Technical Advisory Group. He has had a long background with environmental work on the Duwamish River. He is a member of the Duwamish Tribe and has served on the tribal council. He is a founding member of DRCC as well as founding member and past president of The Green Duwamish Watershed Alliance and a founding member of WRIA #9 that oversees all aspects of Listing of Coho Salmon as threatened in the Green Duwamish Watershed and putting together the WRIA #9 habitat plan. He has been working on the Duwamish River: creating habitat, identifying pollution sources, working with polluters and industry as well as the Port of Seattle, City of Seattle and King County, WA Dept. of Ecology and EPA along with community groups as well as tribes to clean up and create opportunities for a better Duwamish River. Bill Becker is an adjunct professor of law at Seattle University. He has been involved with many business ventures, serves in several community service roles with organizations such as Washington Environmental Council (WEC) and Social Venture Partners. Bill has been a very active member of UW Alumni Association since 1972 after he graduated from UW Urban Planning. Bill later graduated from Seattle University with a JD. His first involvement with the WEC was in 1976, when he was the attorney representing the groups opposed to the construction of a super tanker port at Cherry Point. Nicole Kistler is an artist with a masters' degree in landscape architecture from the University of Washington. She has recently been awarded funding for public art projects in Seattle, and has designed several public parks in Seattle and Tacoma, a light rail station, and the urban design master plan for Seattle's International District. Through her roles as an educator, both at Seattle Tilth's Children's garden and in building an elementary school in Mexico, she is committed to engaging people in a deeper understanding of their environment and hopes to inspire them to fill the world with joy. Nicole Kistler and Sarah Kavage are Co-Artistic Directors of Duwamish Revealed. Duwamish Revealed uses site-specific art and performance to celebrate Seattle's only river and draw attention to its history, landscape and communities. Sarah Kavage is an artist with a masters' degree in urban planning from the University of Washington. She has years of varied experience in art, education, and community building projects - including a Recycle-A-Bicycle program in Brooklyn, NY, afterschool art programs in New York City and Pennsylvania, and planning for a sustainable wastewater treatment system in Havana, Cuba. She has exhibited her paintings and installations in a number of venues around Seattle. Nicole Kistler and Sarah Kavage are Co-Artistic Directors of Duwamish Revealed. Duwamish Revealed uses site-specific art and performance to celebrate Seattle's only river and draw attention to its history, landscape and communities. A graduate of UW, Lee is an award-winning public artist focused on site-specific pieces highlighting humans and their environment through communication + signaling, storytelling through materials, and experimentation with art and public space. George is a contributing artist for Duwamish Revealed, an outdoor art series starting summer 2015 in Seattle. Currently, he is developing Phase II of the Duwamish Lighthouse, a mechatronic sculpture that senses water quality data and signals the invisible health of the Duwamish Industrial Waterway. Mapes, L. 2015. Man swims 55 miles of Duwamish River, finds it’s ‘still alive’. Seattle Times. Sharpe, E. 2013. New report released on health impact of Duwamish River cleanup. UW Today. Sheikh, A. 2015. Duwamish meanders: a river ran through it. Burke Blog. Daniell, W., Childers, A., and Lenhart, A. 2013. Health Impact Assessment: Duwamish Cleanup Plan. Report. Lee, G. R. 2015. Duwamish Lighthouse. Installation. Lewis, M. A. 2010. Found Walking: An Immanent Approach to a Derelict Post-Industrial site. UW MLA masters thesis. Matrajt, G. 2014. Meet Angela Feng, Environmental Studies undergraduate student. UW College of the Environment. McKeon, M. and Horner-Devine, A. The effects of salt-wedge dynamics on contaminated sediment transport in the Duwamish River Estuary. UW Environmental Fluid Dynamics. Monez, J. W. 2011. 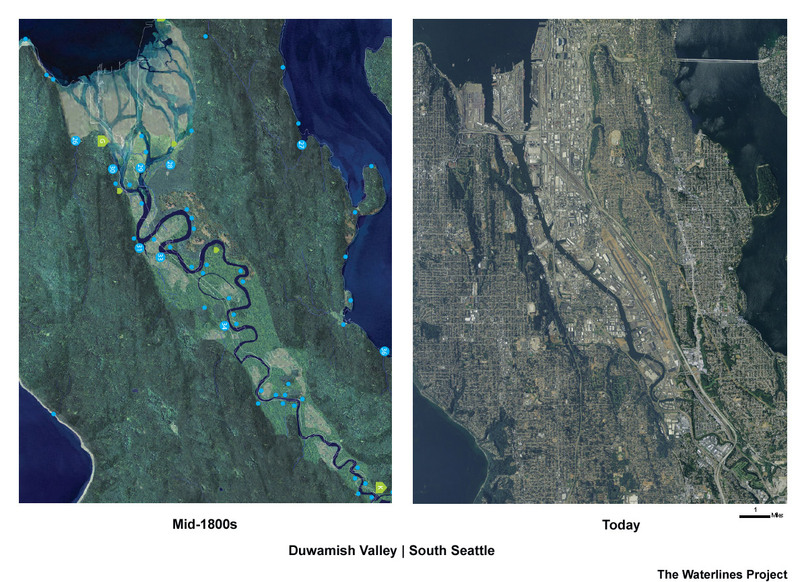 Duwamish Palimpsest: Exploring the Changing Natures of a River/Estuary/Waterway/Superfund site. UW MLA masters thesis. UW Department of Environmental & Occupational Health Sciences. 2011. Video: Academy for Teaching about Health and Environment Associations (ATHENA) Project.